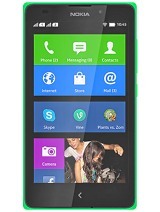 Never ever buy this mobile nokia xl it hav network problem , antina probleem too in all the set . Which cannot be fine. Not suported watsapp and much more such as google map, conpass , etc. Sound quality is too poor . Battery backup worst . Never waste your money on this phone or on any other nokia smart phome. My advice for you all . Dont waste your money on this movule . Go for something else. Is the problem getting every body ????? AnonD-283685, 15 Jul 2014i want to buy a new phone under 10000 .i like nokia xl but i think it is not totally android?p... moreNo.. There no any concept of half android or full android.. Android is an open source project(OSP).. Nokia had certified with android but their platform name has been change. 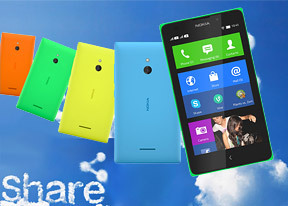 It's call Nokia X platform.. I'm using this phone but I don't get any problems.. WhatsApp plus is working properly & all other android apps also.. According to me those Nokia XL users are getting any kind problem they should go near to Nokia promoters to solve that kind of problems.. & I'm sure they will help.. Nokia is best..
we can update OS ..
where to get whatsapp+ ?.. store or some other method. nokia xl is not supp. whatup &youtube &google+ & google paly serv. dear I need Whatsapp but Nokia XL not supported pls help. 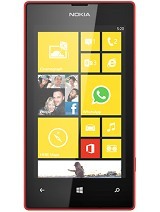 Hii Guyzs.. Hve seen the reviews,and i too want to bought this moblie.. Plese help out is it worth to have?? My budget is of 12000,so any other mobile in this same range? 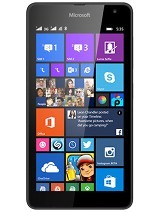 Please help me out..
AnonD-283685, 15 Jul 2014i want to buy a new phone under 10000 .i like nokia xl but i think it is not totally android?p... moreThe vast majority of Android Apps can be put on the phone, but it's not full Android. I prefer Nokia's take on the Android interface - perhaps if you were interested, you might look up a 'Nokia X Hands-On video' - then you would be able to see the interface in action, and see what you think. 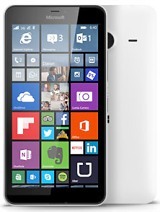 A worst mobile Nokia XL. Bluetooth cannot connect with any other devise other than nokia phone. and office pc. but it connected only in my office pc. In my friends pc also it is not connected . I am frustrated with this. thinking that I have wasted my money.